A high-quality water filter is an important element of a healthy home and one of the easiest switches to make for a healthier life! There are now great water filters available for any home type. 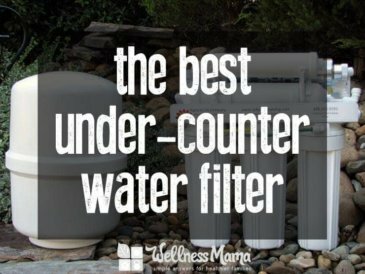 From countertop units that work great in apartments to full under-counter and whole-house filters, it’s easy to find a great filter for your home! Finding the healthiest and most nutrient dense food options is extremely important, but to some degree, finding the best water options can be even more important! Some sources of water can contain hundreds of chemicals and many of these chemicals can be more easily absorbed from water than from food. (VOCs) such as pesticides, herbicides and other chemicals. These chemicals are found in most municipal water sources and even in well and other sources due to agricultural run-off and contamination. Research links certain VOCs to damage in the reproductive system, liver, kidneys and more. Metals like lead and mercury are found in some water sources and have been linked to many health problems. Over the past fifty years, researchers observed increases in endocrine-sensitive health outcomes. Breast and prostatic cancer incidence increased between 1969 and 1986; there was a four-fold increase in ectopic pregnancies (development of the fertilized egg outside of the uterus) in the U.S. between 1970 and 1987; the incidence of cryptorchidism (undescended testicles) doubled in the U.K. between 1960 and the mid 1980s; and there was an approximately 42% decrease in sperm count worldwide between 1940 and 1990. These chemicals are known to affect animals when they enter the water supply as well. This is perhaps the most controversial of the contaminants in water (if something like water contaminants can be controversial!) because it is purposefully added to the water and there is much heated debate about the benefits/harm of this. Anyone who listened to the Heal Thy Mouth Summit is well aware of the potential dangers of fluoride thanks to Dr. Kennedy, but the short of it is this: If fluoride has any benefit, it would be directly to the teeth, as drinking the fluoride has not been statistically shown to increase oral health at all. Additionally, fluoride has been linked to thyroid problems and other disorders when consumed internally. You can check your local water quality report to see what contaminants are in your water supply. This is helpful in determining what you need to filter out when choosing a filter. The easiest way to find your local water report is to check your local water company’s website. The report should be publicly available. If that doesn’t work, try Googling the name of your city and “water quality report” to find it. Once you know what you need to remove, it’s much easier to choose the best water filter option for your family. So what are the options for those of us not interested in drinking a chemical cocktail every time we are thirsty? There are options for every home and every budget. 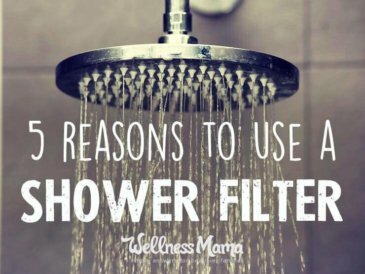 From filters that just take out the basics like Chlorine to ones that remove all contaminants and remineralize the water! I’ve tried a couple dozen of the thousands of options available and share my experience here. This is from my own experience and I have not tried every option. This is also not medical or scientific advice and I’d encourage you to always do your own research and test your own water quality to find your best solution. Water bottles and other plastic waste are a major source of consumer waste and pollution each year! Verdict: Not the best option on price, taste, or health so I skip it. That being said, having a bottle of water is very convenient, and there are some great sustainable options. Instead of plastic bottles, choose a high quality reusable one. 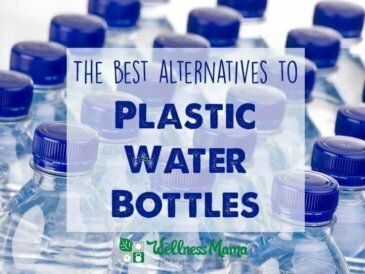 These are my personal favorite water bottles that are plastic-free, sustainable and reusable! Pitcher water filters usually use Granulated Activated Charcoal to remove some contaminants. They are less expensive than other filter options upfront, but require frequent filling (especially for large families) and cartridge replacement (making them more expensive in the long run). Since the carbon is not solid, it does not remove all toxins though these filters will improve taste. Pitcher filters will reduce chlorine, but are not effective at removing VOCs, heavy metals, endocrine disruptors or fluoride. This category also includes faucet mount external filters, which use the same technology. Verdict: Better than nothing, but doesn’t remove the worst offenders and is somewhat costly to use compared to other options. If this is the only option that will work in your home, choose a high-quality pitcher like this Soma Plant Based Filter system, but if you have the space and the budget, a Berkey (see below) is a much better alternative. For those tight on space, charcoal sticks are a great alternative too. Charcoal sticks can be used in any pitcher or water bottle and remove contaminants in the same way that many pitcher water filters do. They are reusable, last for months and can be used as a refrigerator deodorizer or in the garden when you’re done with them! Verdict: These charcoal water filter sticks are a great eco-friendly zero-waste option for those tight on space. Ideal for couples and those just filtering water for 1-2 people. Reverse Osmosis filtration uses a membrane which removes many contaminants from water. 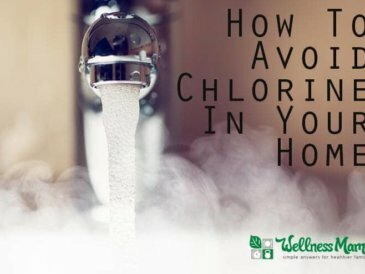 It is usually paired with a Granulated Activated Charcoal filter to remove chlorine, can mount under the sink, and have a holding tank. The semipermeable membrane separates many contaminates (which usually have a larger particle size than water) from the water and rejects a large amount of water in the process. The result is a waste of several gallons of water for every gallon filtered and many naturally occurring minerals (including calcium and magnesium) are also removed from the water. We used this type of filter for a long time but added trace minerals back into the water to replace the ones that were filtered out. It does remove a large amount of contaminants but is not the best option, in my opinion. Removes a large amount of contaminants. Many unites are stored under the sink and have a simple spigot over the counter for getting the water. It reduces arsenic, asbestos, heavy metals, and fluoride. Wastes more water than it produces. Does not reduce VOCs or endocrine disruptors. Requires adequate water pressure to work so it is not usable if home water supply is cut off. Takes up to an hour to filter one gallon of water and filters need to be replaced regularly. Removes necessary minerals from the water. Certainly better than a lot of options out there and it does remove fluoride, but not the best due to its waste of water and costly filters. The distillation process uses heat to cause the water to become steam. The steam rises and moves to a cooling chamber where it turns back into liquid, leaving behind many contaminants. This type of filtration reduces large particles like minerals and heavy metals but does not remove endocrine disruptors or VOCs since they vaporize at equal or lower temps that water and rise with the steam. It does effectively kill bacteria. Removes a large amount of contaminants. Does reduce arsenic, asbestos and heavy metals. Does remove fluoride. Does not reduce VOCs or endocrine disruptors. Home distillation systems are often large and expensive. Uses a large amount of electricity and will not work in power outages. 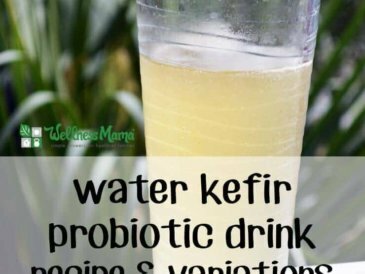 Removes necessary minerals from the water. Long term use can cause mineral deficiencies. Better than bottled water, but definitely not the best option out there, especially for home situations. Recognized by the EPA as the best option for removing chemicals like herbicides, pesticides, and VOCs. Quality carbon block filters will remove chemicals, pesticides, bacteria, fluoride (with filter attachment), heavy metals, nitrates, nitrites, and parasites. Most are gravity based and can safely transform any type of water into safe drinking water including rain water, pond water and even sea water (though these types of water will clog the filters much more quickly and are not ideal). It will even filter water with food coloring to create clear water (yes, I tested it…). This is the option that we used for years and my only complaint is that it does take up counter space. The advantages are that it is gravity based and will work even without electricity or running water. While these types of units can be more pricey that pitcher filters or other filters up front, they seem to be the least expensive in the long run and require the fewest filter replacements (a big plus for me!). 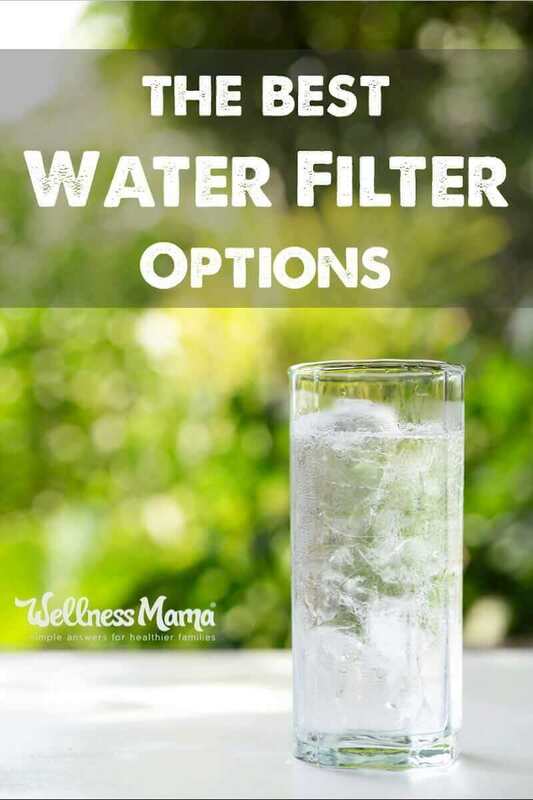 These types of filters also don’t remove naturally occurring minerals from the water, making it the best tasting filtered water option, in my opinion. Using a filter calculator, I’ve determined that the specific system we use won’t need to be replaced for over 20 years with our current usage (though I’m guessing our usage will increase as the kids get older). The most common type of this filter is the Berkey and it comes in many sizes for different uses. It can even be used camping to filter river water for drinking! (Tested this too and it saved one of my brother in-laws from Giardia when other members of his group got it while camping). Filters VOCs, heavy metals, chlorine, fluoride, nitrates, nitrites, bacteria, parasites, and other chemicals. Very inexpensive per gallon cost and infrequent filter replacement. Great tasting water. Doesn’t require electricity or water pressure to work. Portable options can even be used while traveling. Does require counter space and has to be manually filled (wasn’t a big deal for us, we just fill at night and we have plenty of water the next day). More expensive up front. Does not remove endocrine disruptors and there are some concerns with third party testing with some brands. There is also some recent reports that indicate that these filters may not remove fluoride as well as claimed. A good option, especially in places where under-counter or permanent systems are not an option. We used this one for years before our current system. 8 – Holding Tank – standard tank holds about 3 gallons of pure water. Other tanks are available. It removes fluoride, lead, chlorine, MTBE, chromium-6, nitrates, pesticides, pharmaceutical residues, water-borne illness and more. This filter has worked well for us for years and I’ve recommended it to my own family members. Removes the widest range of contaminants. Very easy to use with no manual filling required. Spigot attaches near sink for easy use. Water tastes great. Must be installed under the sink. We had to hire a plumber for this, though we probably could have figured it out ourselves, but I was reluctant to try (and my husband HATES plumbing). More expensive than other options. It’s definitely the best option I’ve found and the one we currently use. If you’re interested in going above and beyond just filtration, there are options that can also enhance the water as well as just clean it. I’ve spent the last couple of years researching options like water alkalizers, hydrogen water and all of the other methods that claim to optimize water in some way. These filters are increasingly popular in recent years. Manufacturers claim that drinking water that has been made more alkaline has various health and longevity benefits. Positively charged calcium and magnesium ions to pass through the membrane and become concentrated at the negatively charged plates. Calcium and magnesium are alkaline earth metals, they are responsible for giving the alkaline water, made by a water ionizer, its alkaline pH. I have a Life Ionizer system currently installed under my kitchen sink. I like that it has options for regular purified water or alkaline water with easy to control levels of each. This page explains more about how the technology works and all of the options. These systems come with a reverse osmosis system so they filter water. In addition, they may have some additional benefits through the alkalizing process. They offer countertop and under counter options so they can fit in most kitchens and can be less expensive depending on the model you choose. This process also generates hydrogen in the water, which may have some additional benefits. They do require some space and are not the most inexpensive option. They also must be installed under the sink and require a plumber if you can’t do this yourself. We’re currently using this alkalizer/ionizer and like the water taste and quality. 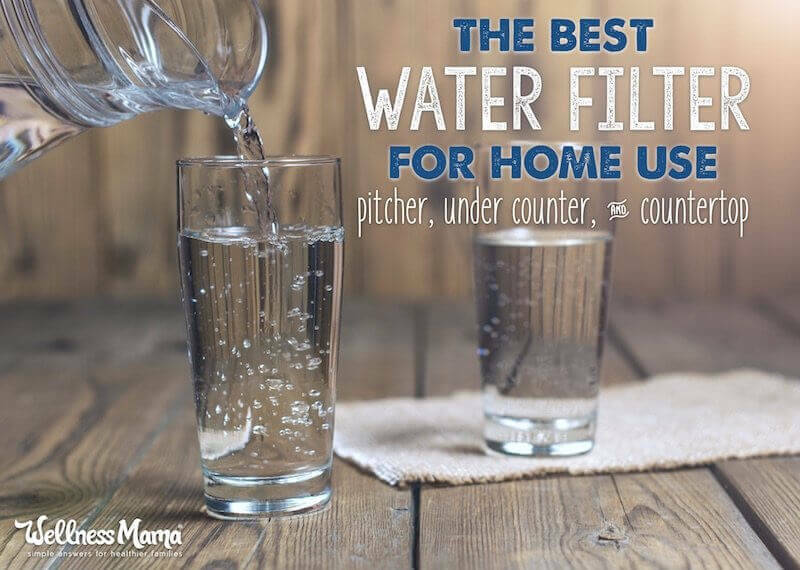 As you’re probably aware, there are many water filter options available (and I think we’ve tried most of them over the years!) and the quality can vary greatly. Since drinking clean water is one the most important things you can do for your health, having a reliable water filter or a source of good clean water to consume should be at the top of your natural living priority list. What type of water system do you use? Do you drink tap water? 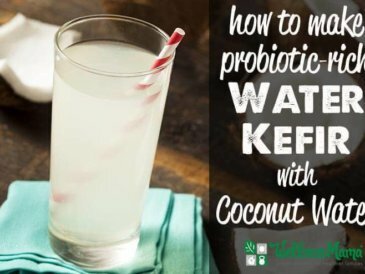 Is water filtration a priority for you? Share below!